Adjustable Overload Setting : 0.8 - 1.0 X In . Adjustable Short Circuit Setting : 6 - 10 X In . Applications : Molded case circuit breakers are a type of electrical protection device that is commonly used when load currents exceed the capabilities of miniature circuit breakers. They are also used in applications of any current rating that require adjustable trip settings, which are not available in plug-in circuit breakers and MCBs. Available in 3 frame size 0.2-570ADirect Mounting on MNX Contactors(only MN-2 & MN-5 Relay) Trip.. 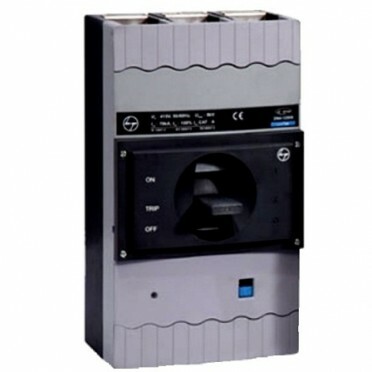 Description :RCCBs are available in DP and FP versions from 16A to 100A ratings with 30mA, 100mA and..
Disribution Board SPN WC 16 WAY SD With Acrylic WindowPolycarbonate Cover Consumer Unit DB..
MCCB 100A DD04 Way IP43 VTPN Disribution BoardVTPN Disribution Board WIth Provision for MCB MCCB as ..
Flexi Disribution Board 4 Row 13 ModulesFlexi (Tier) DBs With Metal Door..
Plug and Socket Distribution Board 30Amp TPNPower Coated metal Deep Drawn DBs With Plug & Socket..